Having written up a review on Magpul’s CTR and MIAD products in Multicam, I decided to publish reviews on other products coated in Hydrographic film using 100% authentic CRYE Multicam. This time we cover all of Dytac’s multicam product, read the full review here. Currently Dynamic Tactical has only 3 products available at the moment, but looking at their web site it seems they are gearing up to produce a lot more. 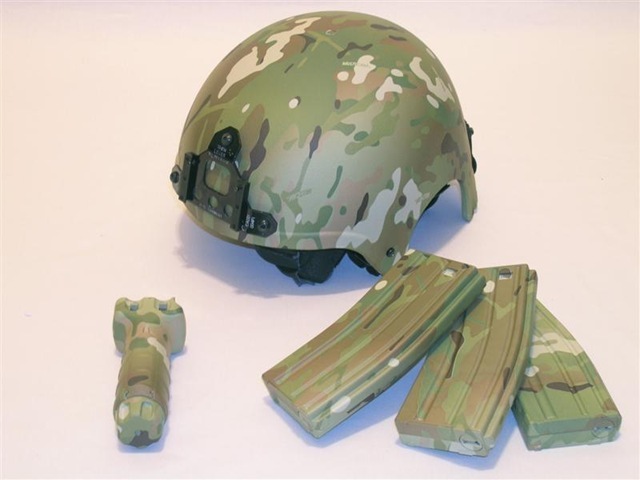 The 3 products are their IBH Helmet, Vertical fore grip and finally their M16/M4 magazines.